Most people understand that when they are injured in a car accident, they should hire a personal injury attorney in Biloxi. However, they may not realize that the same quality legal services are available for other cases such as social security disability claims. 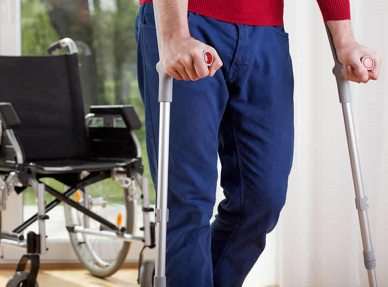 SSD, or Social Security disability benefits, are supposed to provide an individual with financial assistance if they have been injured and are no longer able to work to earn a living. Benefits are given to individuals who are able to prove they meet the definition of a disabled person that is set by the Social Security Administration. The process to prove this definition has been met requires an individual to submit several forms that detail their condition, including medical reports, former employment records and many other types of information. According to information from the SSA, approximately 60 percent of the claims filed were denied between the years of 2002 and 2010. This means that only about 26 percent of all applicants were able to secure their benefits with their initial application. Approximately three percent of those who were denied were then reconsidered at the first level of appeals. Another 13 percent was able to secure benefits after the appeals hearing, which is the step after the benefits were turned down during the reconsideration stage. Overall, only four out of every 10 disability applications are able to obtain the benefits they need. Almost 900,000 SSD applications, or 31 percent, were originally rejected due to reasons that had absolutely nothing to do with the person’s illness or injury in the past year. These are considered technical denials that occur because of nonmedical reasons. In fact, when denied, there was no decision made based on the person’s impairment. Some of the most common nonmedical reasons for the denial of an SSD claim is that a person doesn’t have enough recent work credits. According to the SSA, a person needs a total of 40 work credits, with 20 having been earned in the past 10 years and ending with the year a person was declared to be disabled. This requirement is based on a person’s age, and younger workers may be able to qualify with a lower number of credits. When an attorney is hired for help with an SSD benefits application or appeal, a client can feel confident that this individual will fully understand the law, and everything that their case entails. However, it is necessary for a person in need of legal services to make sure the right attorney is hired. This will require a bit of research and digging to see the track record of the attorney being considered. According to a report that was released in 2012 by the Social Security Advisory Board, when individuals seek the help of a third-party representative, it can help to expedite the process used to determine if they are eligible for benefits. It also will help make sure that the applicant receives informed consideration during the initial claims step. According to the law, any person who is disabled can seek to receive SSD benefits; however, SSA recommends that representatives have a full understanding of the SSA policies and make sure that they fully document the disabling conditions of the individual seeking benefits. When an attorney is hired to represent a person, who is seeking SSD benefits, they are required to follow a certain code of ethics. Lawyers who have, in any way, violated these ethics and rules, which include confidentiality, may wind up being disbarred by the state. It doesn’t matter who a person hires to help them recover their SSD benefits, what the person is able to charge for services is something that is regulated by the SSA. The representative hired will have to file a fee petition or a fee agreement with the Social Security Administration. For most cases, the SSA will only approve payments that are not any higher than 25 percent of the past-due benefits, or a total of $6,000, whichever number is less. The representative may also be able to charge clients for any out-of-pocket costs and expenses, such as obtaining a copy of certain medical records and other similar things. When you’re trying to acquire SSD benefits, there’s no question that time is of the essence. In most cases, you will have limited funds due to the inability to work and you’ll need to have the case settled as quickly as possible. While the need may be urgent, this doesn’t mean you should rush into the decision of which attorney to hire. It’s essential to take time to consider all the options, ensuring you have the best legal representation possible. With the information here, anyone can see the benefits that an SSD benefits lawyer has to offer. Being informed and going through the proper steps will help you get the best possible outcome for your case. Contact the Wetzel Law Firm today to schedule your free consultation.